Robert Rodriguez. The name behind blockbuster hits such as Desperado, Once Upon A Time In Mexico, and Sin City, it is a name that is synonymous with success in the film industry. But the story of Robert Rodriguez is a rag to riches tale, and a fascinating one at that. At just 23, Rodriguez wrote, directed and produced the now industry famous and record setting cult classic El Mariachi for just US$7000, money that he earned himself from a stint in a research lab as a test subject for cholesterol medication. And lucky for him, his risk paid off. Columbia Pictures loved the finished film so much that they bought the American distribution rights, and El Mariachi went on to bank US$2 million at the box office. Since time is usually your most expensive and limited resource, Rodriguez suggests that you shoot your medium shot of a scene, then zoom in and get your close ups/additional shots from there. This gives the illusion of a whole new set-up, but cuts the time it takes for an actual reset (provided the images are not juxtaposed immediately next to each other in the edit). The less time spent on new setups of course means there will be more time to assure the highest quality is achieved on each setup, which translates directly into higher production value. 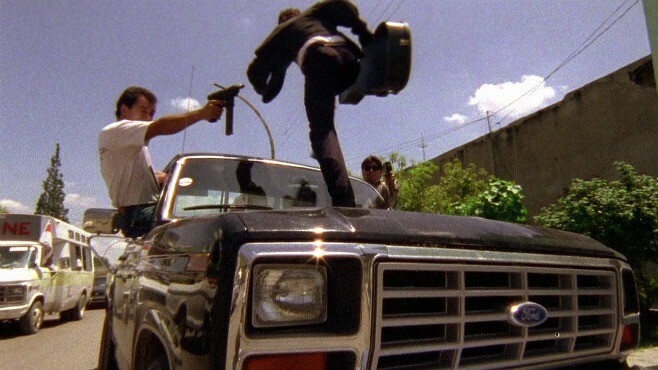 When shooting El Mariachi, Rodriguez expected a lot of negative public backlash. To combat this, he offered two of the film’s roles to two very influential media people of the day. Naturally they could not refuse, and spent months afterwards punting the film to the Mexican public… no marketing budget required and more could be spent in other departments to raise production value. Rodriguez’s biggest tip is also the most simple: use what you have! Because of his practice of zooming in to affect new set-ups, his lighting issues were also cut in two. A single work light inside a metal reflector, coupled with a few boards and some duvetyne to bounce and diffuse light, gave one piece of equipment three to four times the use. Production value remains high and more money will be available for spending on other critical areas. What could you achieve on a budget of just US$7000?